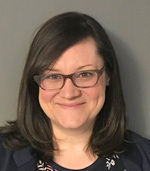 Erin McLean holds a Master’s degree in Political Science with a focus on Conflict Resolution, as well as a certificate in Fundraising and Volunteer Management. She is an experienced volunteer engagement professional with a successful track record in community recruitment, inter-organizational collaboration, and program development and implementation. McLean has focused on this work with multiple organizations at both the provincial and national levels, and is currently the National Volunteer Specialist at The Children’s Wish Foundation of Canada. McLean is also a PAVRO (Professional Association of Volunteer Leaders - Ontario) Mentor, and the 2016 recipient of the PAVRO Young Leader Award. Driven by the capacity and possibility of volunteer impact, McLean is passionate about influencing that potential in the work she does and as a member of the volunteer engagement community.